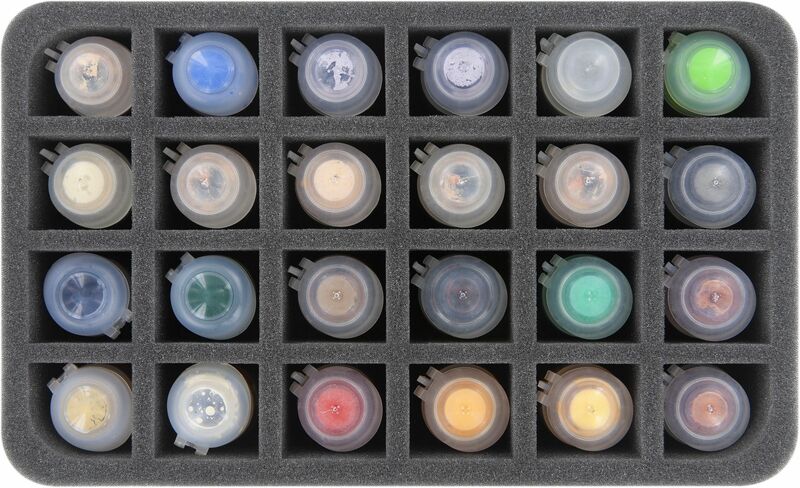 Up to 24 Citadel paint pots in 12 ml size can be stored here clearly arranged and portable. 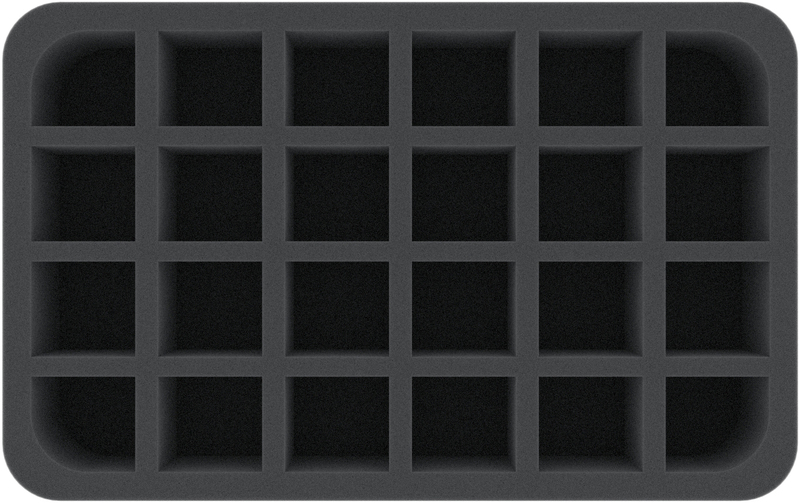 Thanks to the lightweight material, this foam insert is a wonderful addition to your hobby case. Each of the 24 compartments is 36 mm long x 33 mm wide x 45 mm deep. 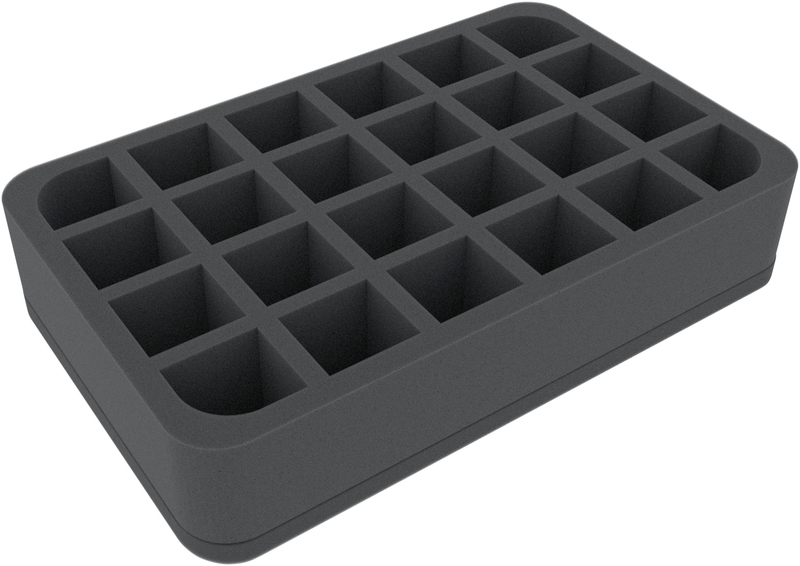 This Half-Size foam tray has the dimensions: 275 mm x 172 mm x 55 mm total height (45 mm usable height + 10 mm foam base).